Media Mail was formally known as the "book rate"; its title was changed to include different forms of media. One of many services offered by the United States Postal Service, it allows people to send packages at cheaper rates than most others imposed by the USPS or other companies. The Parcel Post was implemented by the Post Office in 1913; this is the same method that Media Mail now uses to ship packages. Media Mail is an easy and convenient way for people and businesses to send different types of media through the postal service. 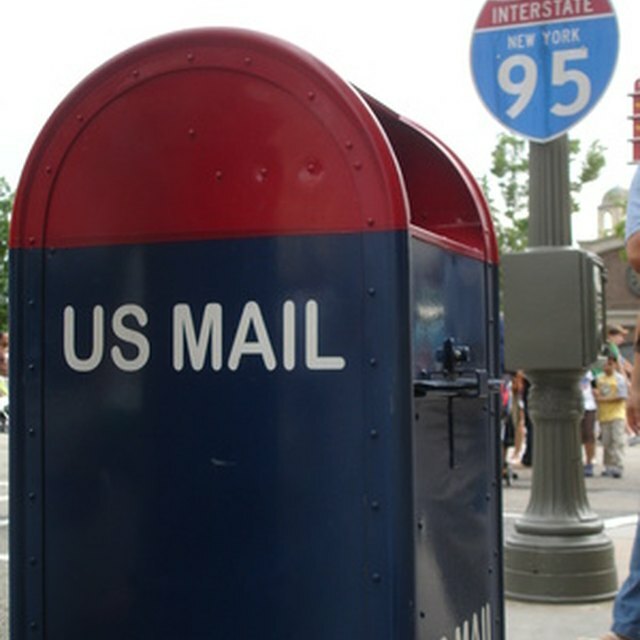 It takes a little bit longer than first-class mail, but media mail is offered at a much cheaper rate than other USPS services like the aforementioned Parcel Post, Priority and First Class. .
Every package sent through Media Mail is subject to a search, and will be sent back if it contains items not permitted under Media Mail. The list of items eligible for media mail includes DVDs, books, CDs, software, sound recordings and tape recordings. Magazines are not considered media mail because they contain advertisements. Books or DVDs featuring small advertisements for related movies are permitted, however. Media Mail is one of the cheapest options when sending books through the USPS; however, when you are sending books from or to a library, you should use the cheaper Library Rate. Library Rates make it easier and cheaper for libraries to exchange books. If you have a book from a library that is located far away, you can send it at this rate instead of by Media Mail. The Media Mail price is based on the size of the box, but the minimum price you will pay for Media Mail is currently $2.23. This includes packages that weigh less than 1 lb. The rate steadily increases with each pound; examples include $10.98 for 26 lbs. and $19.38 for 50 lbs. The maximum weight for Media Mail is 70 lbs. A box cannot be any more than 108 inches in length and girth. On average, a Media Mail package takes 7 to 9 days to arrive, because it is delivered entirely by truck. The location can have a huge effect on the delivery time. If you are sending something from New York to California using Media Mail, it may take 2 weeks; but if you are sending it from New York to Connecticut it may only take 2 days. Purchasing delivery confirmation will let you know when your package arrives.